World's Finest Luxury Tea served the Hartford Way... Vanilla Bourbon! TWG Tea, the finest luxury tea brand in the world, was established in Singapore and celebrates the year 1837 when the island became a trading post for teas, spices and fine epicurean products. TWG Tea, which stands for The Wellbeing Group, was founded in 2008 as a luxury concept that incorporates unique and original retail outlets, exquisite tea rooms and an international distribution network to professionals. A veritable tea institution, TWG Tea is passionate about sharing its expertise and has become a point of reference for tea lovers thirsty for knowledge. TWG Tea tasters travel thousands of miles across the globe every year, sampling hundreds of teas in search of the most desirable harvests direct from source gardens. Offering over 1,000 single-estate, fine harvest teas and exclusive blends, as well as tea patisseries and other tea-infused delicacies, TWG Tea is internationally recognised as a true innovator with the creation of new varieties of tea every season in collaboration with the world's most renowned estates. The TWG Tea team takes pride in shaping the aesthetic image underpinning all the brand's products, constantly updating the notion of TWG Tea while respecting the Asian and European traditions of elegance and beauty on which it is based, now spiced with a touch of sensuality and originality. 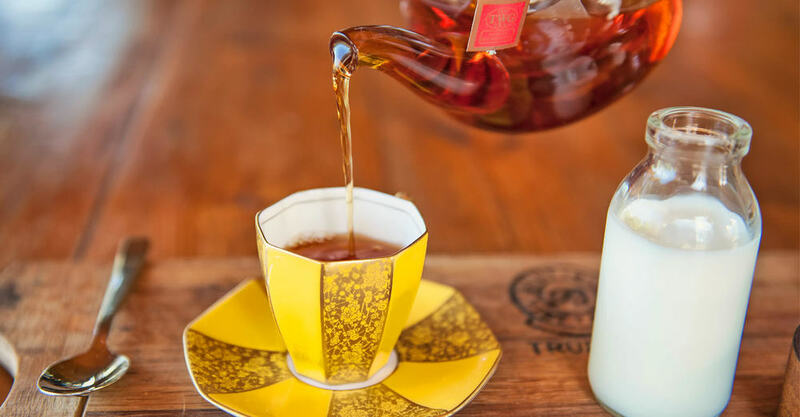 Our favourite TWG Tea at Hartford House is the Vanilla Bourbon which is also the substitute for the old fashioned Rooibos Tea. A red tea from South Africa blended with sweet TWG vanilla. Enveloping, this theine-free tea can be served warm or iced at any time of the day, and is perfect for children as well. When are you popping in for TEA?